The Training Camp is on the Spanish Mediterranean island of Mallorca. It is based at the hotel on the Bay of Palma in the Can Pastilla / Playa de Palma area and close to the city of Palma de Mallorca. The location of this resort on the island giving us easy access to the mountains, the central plain and the coast. Being based close to Palma is a major boost to the social activities during our stay. The city offers a varied nightlife, and other recreational outlets. 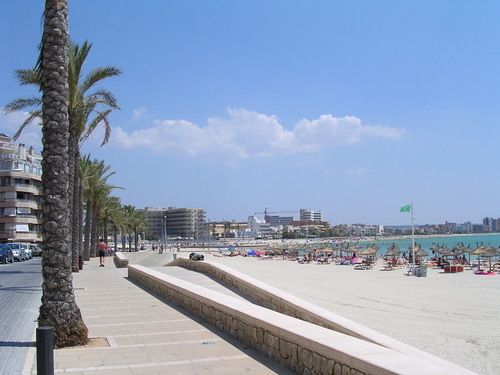 For the rest days Palma offers sightseeing and shopping and the resort offers cafes, shops and a long sandy beach for swimming or sun bathing. Resort hotels offer great packages out of season to keep busy and out of season is a great time to go cycling in Mallorca. This is a chance for the members of the club to create a community of friends to exploit these offers and get themselves and others in the club a great value cycling holiday.